Dacia Callagan believes in the Golden Rule: "Treat others the way you want to be treated.” With that as a foundation, she approaches each Real Estate transaction with passion. She has embraced the small town culture from her childhood where everyone knows everyone and integrity is embedded in one’s heart. This combination allowed Dacia to pursue her passion serving honest quality product while simultaneously sharpening her own particular vision of true service. Her greatest inspirations were attending a Brooks Brothers Brand education class in New York and co-hosting an online radio show where she developed a love for delivering quality and enjoyable service. 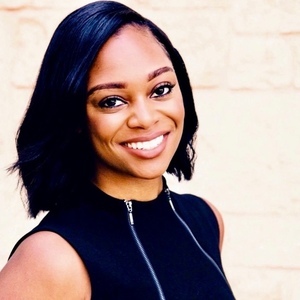 Building upon her industry skills, she became a leasing agent for luxury apartment homes, she worked hands on with clients building and designing their custom dream home, and she executed marketing strategies for a home builder. Dacia is a tech savvy, “high motor” gal with a passion for streamlining processes and problem solving. Her hard work, charisma, and true passion for her business has helped Dacia’s reputation as a qualified realtor quickly rise. Dacia specializes in all facets of the Real Estate business, whether it be navigating the way for first timers, scouting land and building a new construction custom home, or providing help in the luxury market, she understands that every transaction is unique and creates a plan tailored specifically to your needs. Away from work, Dacia is a caring mother and devoted wife. She enjoys traveling, exploring different cultures and foods, fellowship with her church, and sharing new experiences with friends and family.